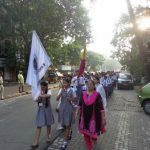 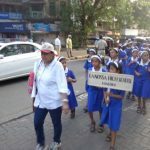 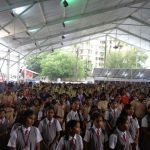 The Catholic students of the Primary and Secondary sections of the school along with 14 other schools in the Bandra area went on a pilgrimage to Mount Mary’s Basilica organised by the BIRD committee with Apostolic Carmel High School serving as the host school. 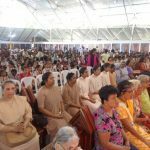 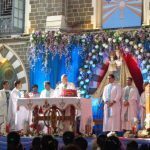 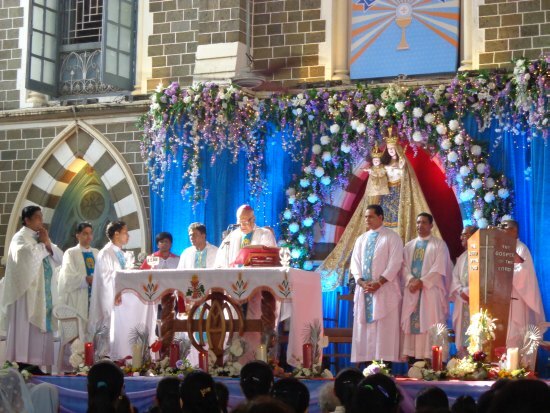 Bishop Bosco Penha was the main celebrant at the Mass conducted for the school children along with 8 – 10 other priests who con-celebrated the Mass. 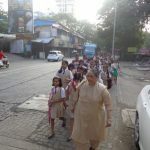 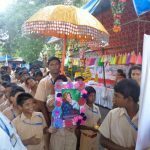 The children were served refreshments on their return to school.